To insert an image into a forum post, you need to click on the icon in the row above that has a small picture with a floppy disc in front of it. 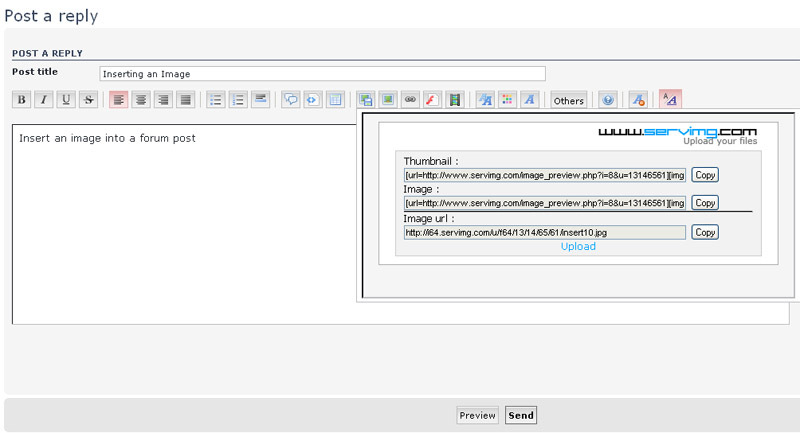 This will then bring up a box on screen to enable you to upload your file. Browse to find your file. 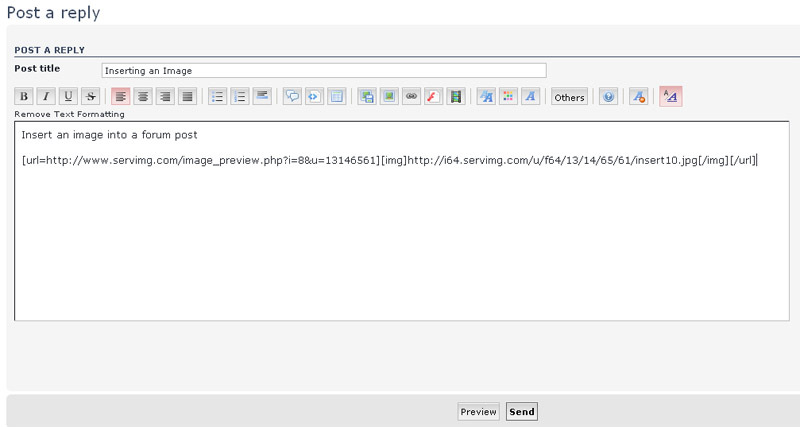 In the resize image box, choose 640px, then click Host it. This will upload your file. You will then get three lines of code to choose from. Click 'copy' on the middle code. You will see that it goes blue. Right click your mouse and choose the option copy. This actually copies the code ready to post into your forum post. 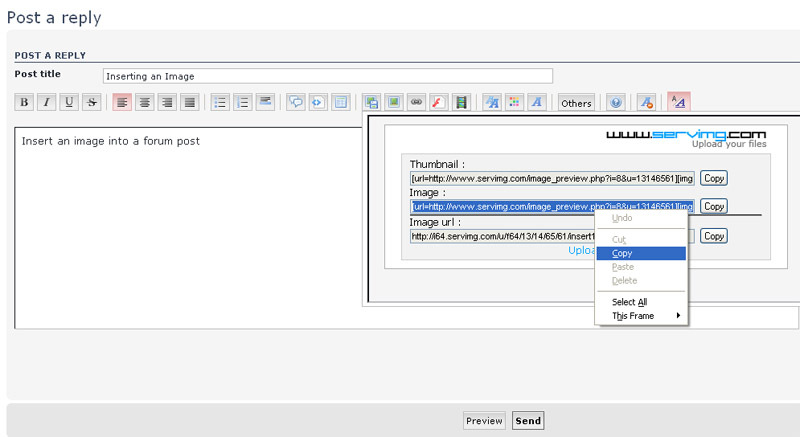 Then click on the picture icon again in the top bar (the one you clicked to start uploading your file) and that closes the upload box. Click into the forum post and make sure you can see your flashing cursor, then right click your mouse and choose the option 'paste'. You will now see a string of code. You can now either click on 'preview' if you want to see what your message will look like before you post it to the forum, or you can just click send. 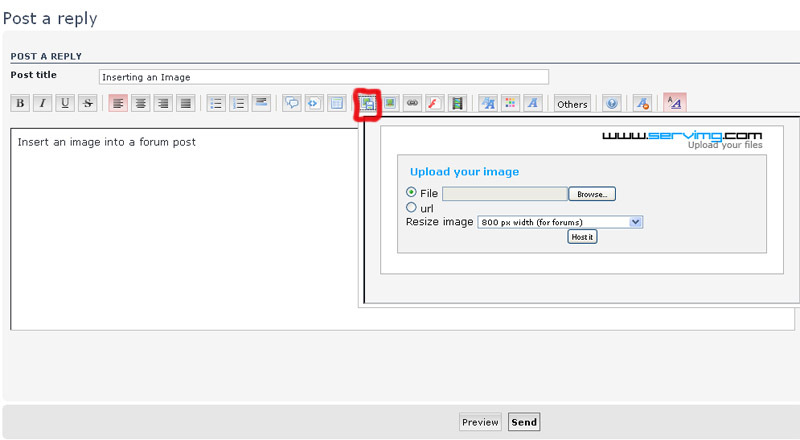 Your final message will show your uploaded image inserted into your forum message.